All of your favorite blogs likely are consistent in tone and imagery. But you’ve never really put pen to paper and articulated your style -- it’s just something you make up as you go along, selecting the parts and pieces that seem to fit who you are and how you write. 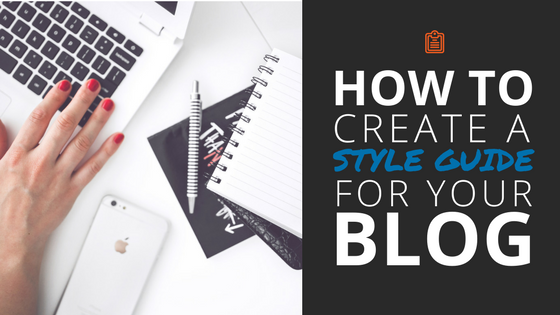 And while that may have worked to get you started, if you really want to take your blog to the next level, it’s time to make decisions about your style -- and stick with them. Remind Me ... What's a Style Guide? A style guide is a basic document that shows the writing rules you (and other contributors) agree to follow for the blog. It’s like your blog’s rule book, so everyone is on the same page and can find the answers to common writing questions. This allows you to articulate the personality of your brand, from colors, to tone, to grammar. The Parts and Pieces: That Should Be Included? An overview. Most guides begin with the mission -- a reminder of the audience and the topics covered. This will help to streamline and maintain a focus throughout the rest of your guide. You must know who you’re writing for and why you’re writing it; this is the backbone of your blog and your style guide. By knowing your ideal consumer, you can tailor content to those you hope to reach. It’s among the first things you hear as a blogger: Use photos. People are receptive to images. Pictures also help break up lengthy blocks of text. But if you’re new to blogging and just jump over to Google images, you could quickly find yourself in hot water. If you choose to go the free route (and who wouldn’t?! ), it can be difficult to discern the photos free for use and the ones that require attribution. So before you snag an image off the web, educate yourself. Rule #1: You can’t use everything you find on the web. In simple terms, you are financially liable for using copyrighted items on your website. It doesn’t matter if you provide attribution or link back to the source. Unless you’ve received express permission or have legitimately purchased usage rights, you can’t post copyrighted photos. Period. Grabbing that perfect image for your next blog post may seem harmless, especially if you’ve seen it used all over the web, but it can hurt you in a big way. 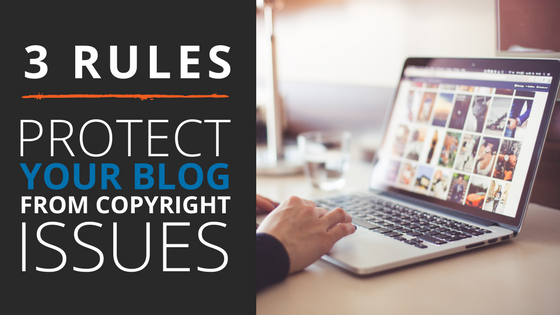 Rule #2: Understand the basics of copyright law. If you haven’t taken a class in communication law or copyright infringement, there are three main types of copyright categories you’ll come across. Luckily, most sites are clear about the rights for their photos. Public domain. A public domain image is an picture whose copyright either has expired or never existed in the first place. Therefore, these images are able to be used by pretty much anyone for personal or commercial reasons. The only real exception here is if the image is of an identifiable person, in which case you may need his or her permission before you post. Royalty free. A royalty-free image means you can use some copyrighted picture or material, without needing to pay royalties, or some sort of fee each time. Typically when images are offered this way, it is through some sort of site that has already paid a fee, so you don’t have to pay it yourself (think a stock photo site). Creative commons. This is a way for photographers to license their image and delineate how they will be used by the public. The most common CC licenses you’ll stumble across are a CC0 or a CC BY 2.0. If something is CC0, it means the owner has relinquished the rights to their work, while a CC BY 2.0 requires attribution. If an image is licensed under CC, make sure you’re extra diligent in determining when you need to attribute credit to the photographer. Learn more about the licenses here.